It’s Friday! 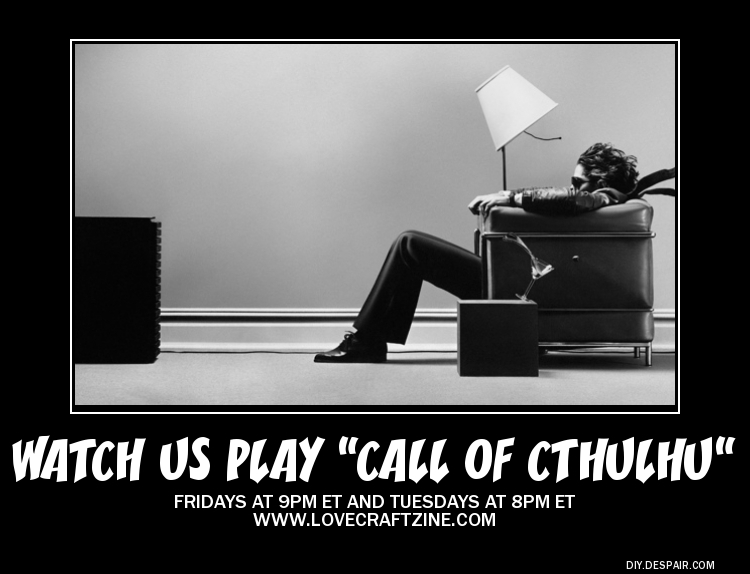 And that means that you get to watch us play Call of Cthulhu, LIVE tonight at 9:00pm Eastern time (8pm Central, 6pm Pacific). Tonight is the second session of this game, but don’t worry if you didn’t see last week’s session, we’ll catch you up. ← Brand new Lovecraftian audio dramas — free!